The Secret to Successful Homeschooling is NOT Curriculum, It’s Mindset! 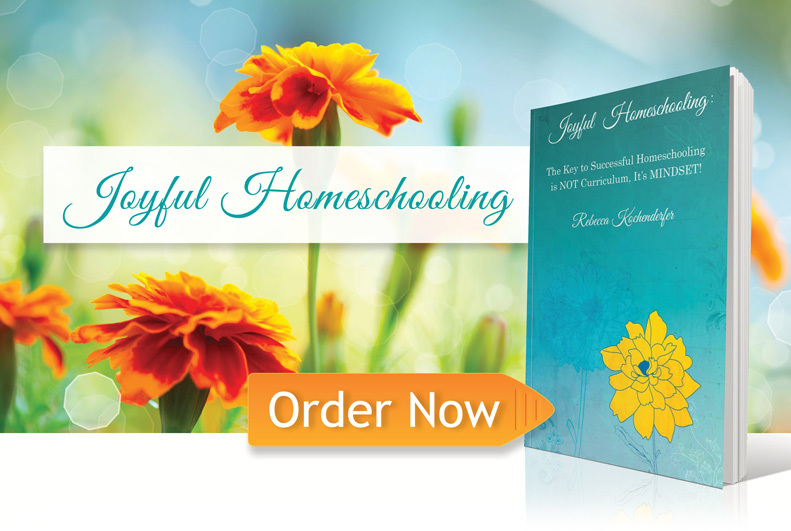 Your attitude toward your day and toward your children’s efforts profoundly affects the outcome of your homeschooling. When you focus on the joys in your life, your days flow better and you accomplish much more. “Joyful Homeschooling” introduces you to ten “mindsets” – a different mindset each week – and it provides you with prompts for the week to help you put this new mindset into action and turn it into a habit. One of the best things you can do for yourself and for your homeschool is to take a couple of minutes each morning to “get your head on straight” before you start your day. About the author: Rebecca Kochenderfer homeschooled for over 20 years – all the way from preschool through high school. She is the owner of Homeschool.com (the #1 homeschooling community on the Internet) and is the author of “Homeschooling and Loving It!” and “Homeschooling For Success.” She is also the author of “Joy Journal: Make Joy a Daily Experience.” Her son, following his joy, wrote his first novel at age 17, her oldest daughter danced with Ballet Austin at age 16, and her youngest daughter was accepted for her senior year to one of the top prep-schools in the country. 5 Homeschooling Habits That Will Make Your Home More Joyful. Click to watch on YouTube.